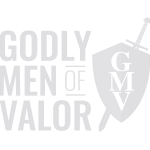 Help Godly Men of Valor with your registration costs or an offering to the ministry. Putting on a GMV event is full of challenges. One of our biggest is the financial outlay. Travel expenses, lodging, and even insurance for the instructors all add up quickly. Many attendees are unable to donate the requested donation ($199/person) to ensure all needs are met. Thankfully there are men (and women) like you who see the need for this ministry. By giving a little every month, you can help take the financial burden off of the hosts who desire to bring GMV to their town, fellowship, or church. It is our desire to be able to have GMV’s all over the country. If you’re not able to give each month, then please know that every dollar goes to freeing men of strongholds that are holding them back from being the Godly man of valor they are created and called to be. If you’ve been blessed by attending a GMV, please consider partnering with us to take this ministry to others by making a monthly donation.